Encuentra aquí una lista completa con direcciones y horarios. Aquí una lista completa para festejar el Día de la Independencia en familia. 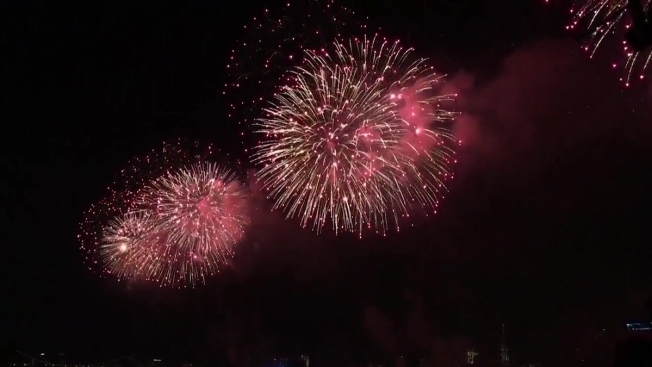 Chicago y sus alrededores ya están listos para festejar el Día de la Independecia de los Estados Unidos con grandes espectaculos de fuegos artificiales en diferentes parques y vecindarios en Illinois. Para que puedas planificar bien tú fin de semana y verlos, a continuación te damos un listado con otros lugares y horas en donde se exhibirán fuegos pirotécnicos. Batavia — Main Street y Millview Drive, 9:30 p.m.
Boilingbrook — Bolingbrook Golf Club, 2001 Rodeo Drive, 9:25 p.m.
Bloomington — Miller Park, 1020 S. Morris Ave., 9:15 p.m.
Chicago — Navy Pier, 600 E. Grand Ave., 9:30 p.m.
Channahon — Community Park, 23304 W. McClintock Road, 9:15 p.m.
Downers Grove — 75th Street y Lemont Road, 9:45 p.m.
Elmwood Park — Elmwood Park High School, 8201 W. Fullerton Ave., 9:30 p.m.
Frankfort — Main Park, 200 S. Locust Street, 9:15 p.m.
Gurnee — Six Flags Great America, 1 Great America Parkway, 9:45 p.m.
Great Lakes — Ross Field, Sheridan Road, 9:30 p.m.
Glencoe — Lakefront Park, 647-699 Longwood Ave., 9 p.m.
Glenwood — Brookwood Jr. High School, 201 Glenwood-Lansing Road, 9 p.m.
Highland Park — Wolters Field, 1080 W. Park Avenue, 9:30 p.m.
Joliet — Joliet Memorial Stadium, 3000 W. Jefferson Street, 9:20 p.m.
Kirkland — Franklin Township Park, 201-299 3rd Street, 9:30 p.m.
Lansing — Downtown Lansing, 201 E. Shiawassee Street, 10 p.m.
Lombard — Madison Meadow Park, E. Madison Street y S. Ahrens Ave., 9:30 p.m.
Mount Prospect — Melas Park, 1326 W. Central Road, 9:45 p.m.
Naperville — Knoch Park, 724 S.W. St., 9:30 p.m.
Oak Forest — 159th Street and Central Avenue, 9:30 p.m.
Oswego — Prairie Point Park, 313 E. Washington Street, 9 p.m.
Park Forest — Village Green, Main Street and Cunningham Drive, 9:15 p.m.
Waukegan — The Harbor, 9:30 p.m.
Zion — Shiloh Park, 2400 Dowie Memorial Dr., 9:30 p.m. Sorry about the first list, I’ve updated it in both English and Spanish.